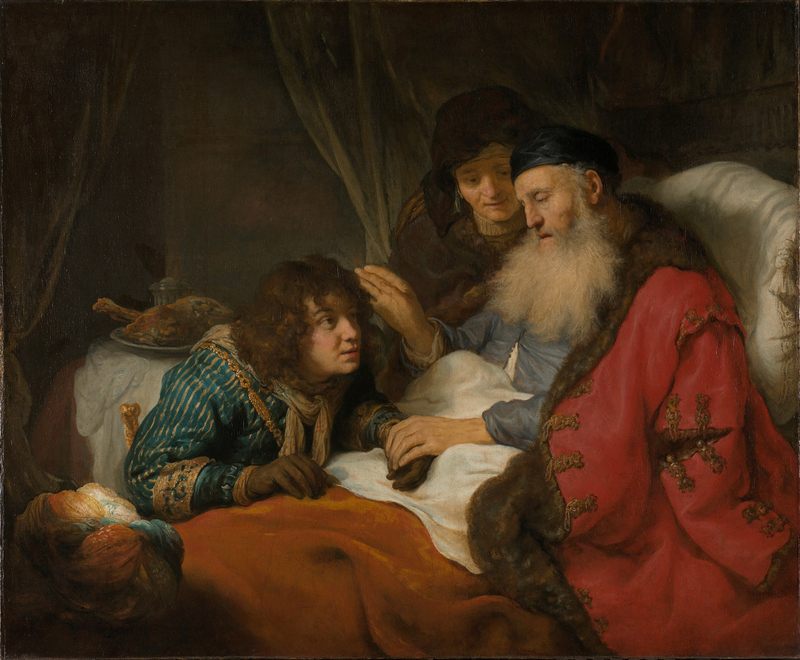 "Isaac Blesses Jacob" by Govert Flinck (1615-1660). Isaac was old and practically blind. He felt the end was coming, so he called his boy Esau in and told him to go out hunting wild game for him. “Kill me something that tastes good and I’ll do something really nice for you before I die. Which is soon.” So Esau took off for the countryside to go kill an animal. “Don’t you trust me?” asked Jacob. “I am,” said Jacob, who was already in this too deep to back out. And He gives you enough! Of all women’s boys, including your mother’s. “That was beautiful, Dad,” said Jacob. “Who are you?” asked Isaac. “A blessing!” said Esau. “Weren’t you listening? I just want a blessing! They’re free! Can’t you just come up with something? I don’t even care if it rhymes, at this point!” Esau started to cry as his father sat there listening, stone-faced. You’ll find stuff that’s good. It’s your brother who scored.